Inspirational Wednesday: The Mix Up. Inspirational Wednesday: It's a good day to have a good day. OOTD: Duster coat and ripped jeans. OOTD: Jeans, the crop and slides. I have to leave to catch my flight at 3am this morning.. yes painful!! So I thought I would put together a little blog post. I'm currently at my nan's house watching absolute rubbish on TV and pretty much dreading the long night ahead. 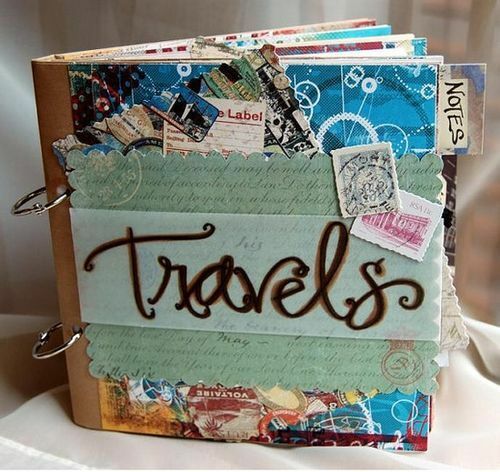 I am 'popping' off to Spain to catch some sun, eat food and chill for 4 days, hopefully check out a Spanish market too! Me and the sis spotted some cheap flights online and with the advantage of the Villa our grandparents are staying in we have bagged ourselves a little trip away. Anyhoo! I saw a post BeautyCrush did a little while ago and it inspired me to put this together (a little less picture heavy but oh well). 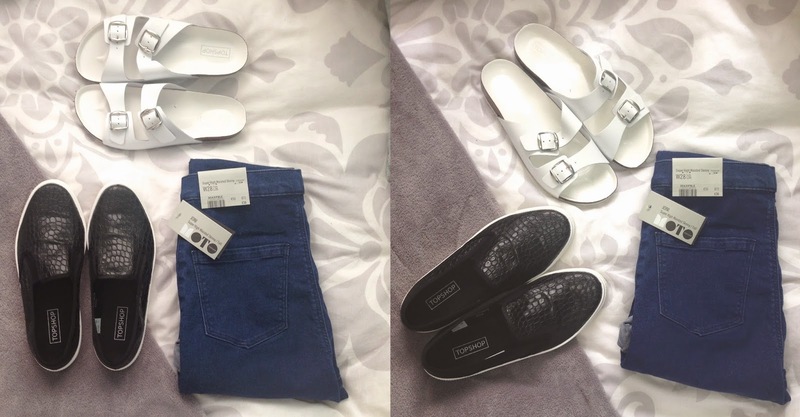 COMPETITION: Clothes I Simply Can't Live Without. Today I was nominated to enter Rare London's latest competition, as I love to get involved I thought why not! Plus, it's a great way to show you guys my 'can't live without' items! There's always that one piece.. or two that you could not live without and shock horror mine is all BLACK! 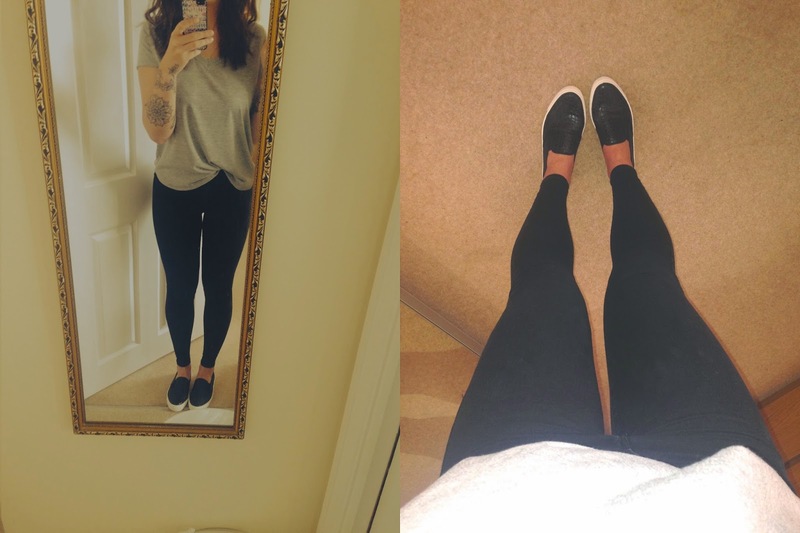 I would have to say my all time favourite piece of my wardrobe, and the item most worn is my black tank from H&M. It's the perfect length, fit and I am most likely to grab it with some wet look leggings and that's me done. Depending on my mood depends on the accessories but majority of the time I add my leather jacket, some sort of bling and my beaten up white converse. 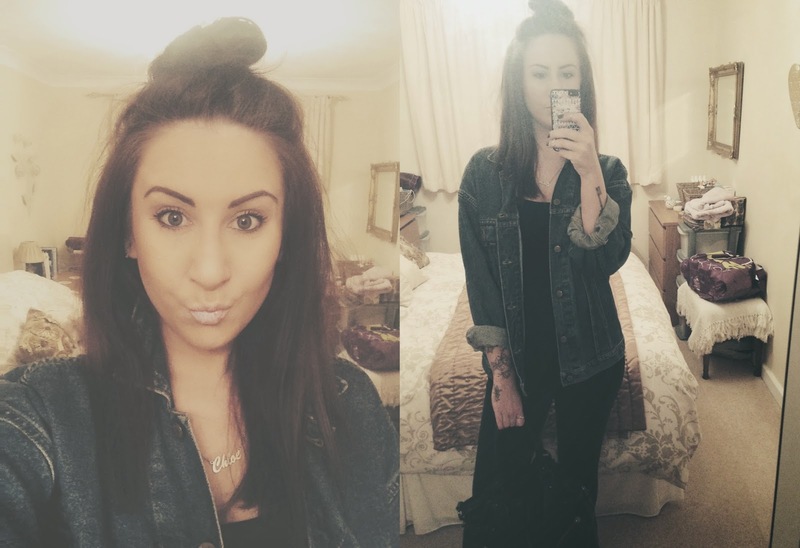 My black Joni Jeans from Topshop come up a close second and are for sure a go to for me. 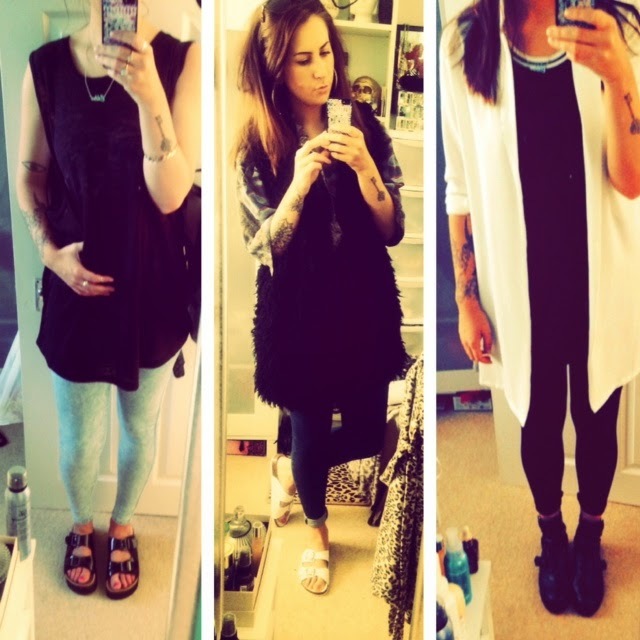 I thought I would include this collage to show you the most worn things in my wardrobe, love a good visual me! So, I believe with a black cami, wet look leggings, leather jacket, Joni jeans, simple tee, converse and a good pair of sunglasses you are ready to do almost anything! Ok.. next stop, I am now nominating 3 beaut bloggers, so your up next BlondeCanvas HoneyBelle and TheStyleSparrow! OOTD: Let me take a selfie. OOTD: Army print and tattoos. 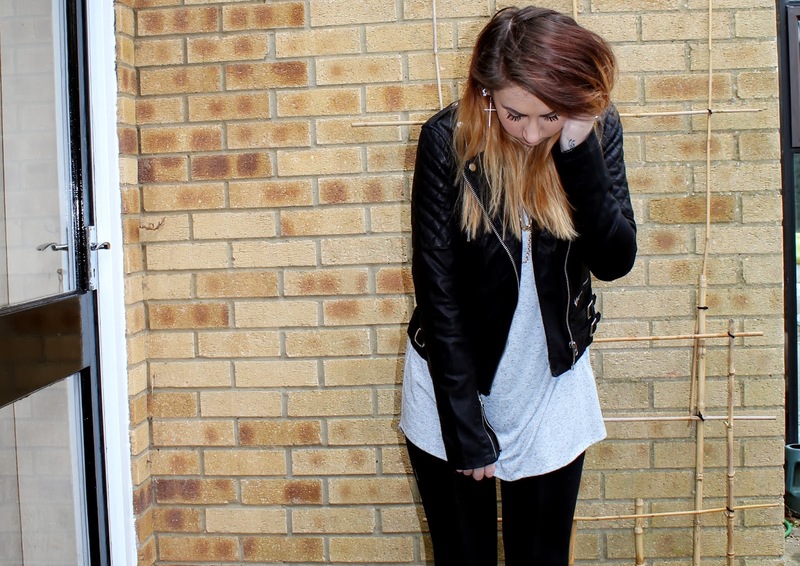 So, back with my second Street Style post. Hope you enjoyed the last one. I'm currently chilling on my bed catching up on YouTube videos, to be honest this is my favourite thing to do at the moment. I have become a bit of a hermit as of late due to saving the pennies and well.. the horrific English weather. I can't tell you how much I'm looking forward to a bit of sunshine! Hello you gorgeous lot, so as you would have guessed from my last OOTD post I spent my Saturday pondering around Somerset House stalking some ultimate fashionistas. This is the first year I have been around London through fashion week (yes, this is shocking) and I must say I was a tad overwhelmed! Whenever I'm in London I get such a buzz and always leave feeling ultimately inspired. This meant seeing a bunch of amazingly dressed people sent me into creative over mode! At one point I had to just stop and stare around me to take it all in. I am definitely a fashion obsessed, but I find that I have to be around like minded people to keep my creative and inspired senses flowing! Sometimes, I can loose track of that feeling. So entering a courtyard full of creatives sent my mind a little crazy! I was a little nervous at the start but after being there for a few minutes I just started snapping away! I think photographing street style can always be a little awkward at first! But once you get in the flow it's no biggie! There were so many different styles and trends floating about, each person had put there individual touch to it. That's what I love about Street Style. When I got home I got all the images up and didn't realise how many I took! 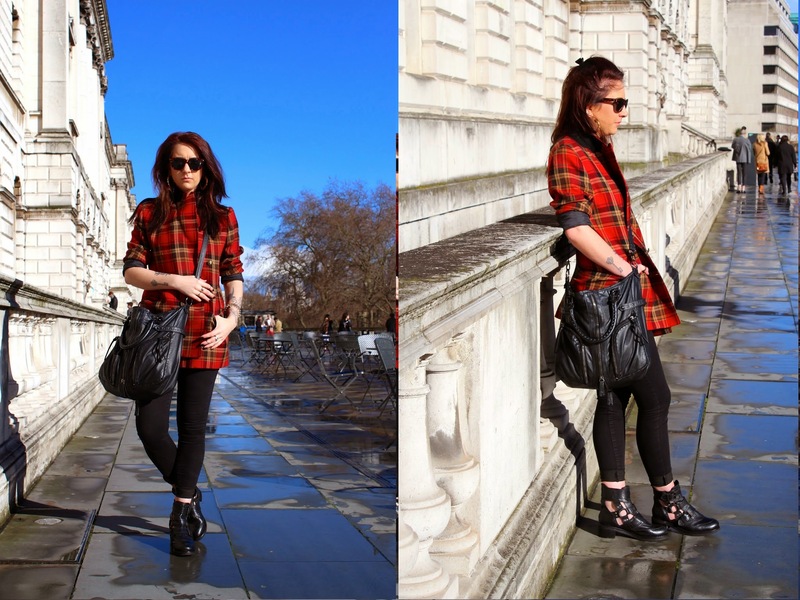 I think I will have to put the street style posts into two as otherwise it might be a little bit of an photo overload! After today I would love to make it up to London more just to snap some street style, it's a great way to grab new ideas. 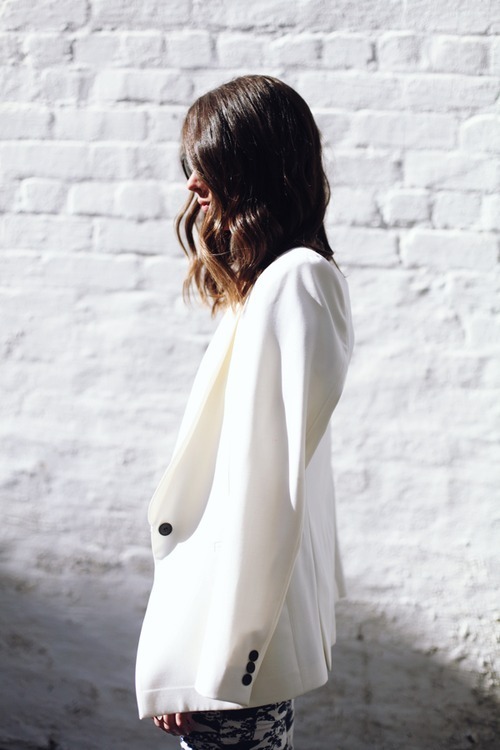 It's also great to have these images to refer back to for a pop of outfit inspiration! Hope you guys enjoy the images and keep an eye out for more! These two reminded me of the Olsen twins, absolutely love the simple outfits with statement shoes! Two of my favourites! Since starting my blog and YouTube channel I never really got into the whole 'Favourites' posts. Mainly because my all time fave products don't really change that often. But now, after watching many of these videos I have been inspired to do a short series on my favourite products. Over 4 videos I will be covering Make-up, Brushes, Skincare and Hair. So here is the first instalment, hope you enjoy! Stay tuned for part 2! I have spent my evening eyeing up the below over at inlovewithfashion.com. InLoveWithFashion is an online store with some amazing on trend and current clothing pieces and the best bit is that they start at some great affordable prices! I cant help but add more and more to my basket as I browse through the site! I have included some of my top favourites below! There's such a great mix it was hard to pick just a few! Click here to go straight to the site.